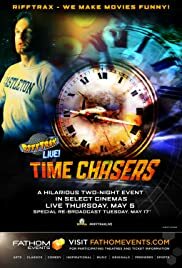 Michael J. Nelson, Kevin Murphy and Bill Corbett of RiffTrax riff Tommy Wiseau's The Room LIVE onstage and broadcast to 100's of theaters across North America. Rifftrax Live: Carnival of Souls! Mike, Bill, and Kevin riffed this spooky midnight-movie cult classic live in Nashville, and now it's available for you to stream in Anywhere-Ville!